Every time I see this color combination, I love it more and more! The beautiful table above by Bliss Events, serves as inspiration for your own milestone birthday celebration, or engagement party. Begin your planning process with one of these invitations from Tiny Prints, and your color scheme is firmly in place. Setting the scene is easier when you have a color palette to follow. Yet another great reason to invest in simple white and/or black pieces…just add any other color to it to create a different look each time! This look is achieved with simple candle sticks, vases, and flowers. And remember, you can spray paint some of those old and tired candle sticks you already have to give it a modern fresh look. I think every event needs a sweets table! Black, white, and yellow treats are easy to find/make. Serve a delicious lemon yellow cocktail upon guest arrival. 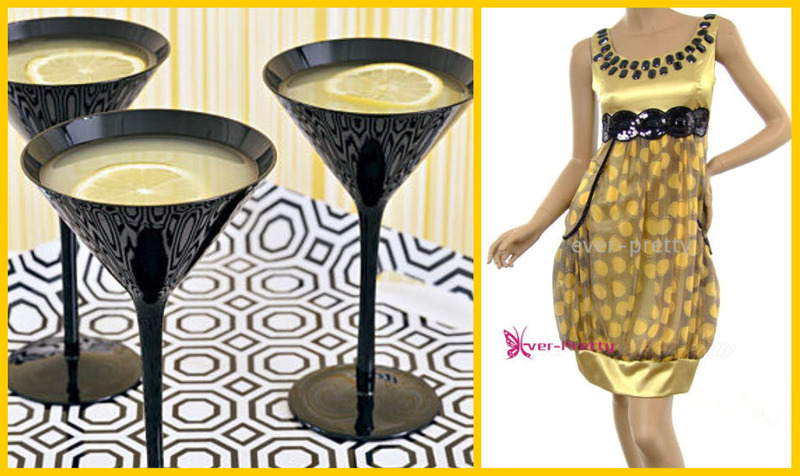 These black martini glasses make a great statement, but you can use clear ones. Don’t forget to line your serving trays with a matching patterned paper. Can I tell you how much I love the little party dress?!!! 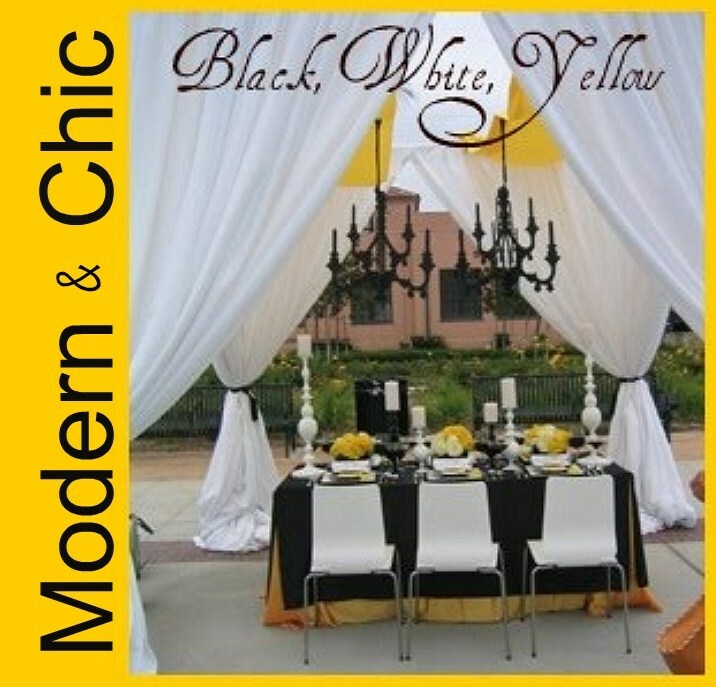 What a fun addition to your black, white, and yellow party! Pretty! 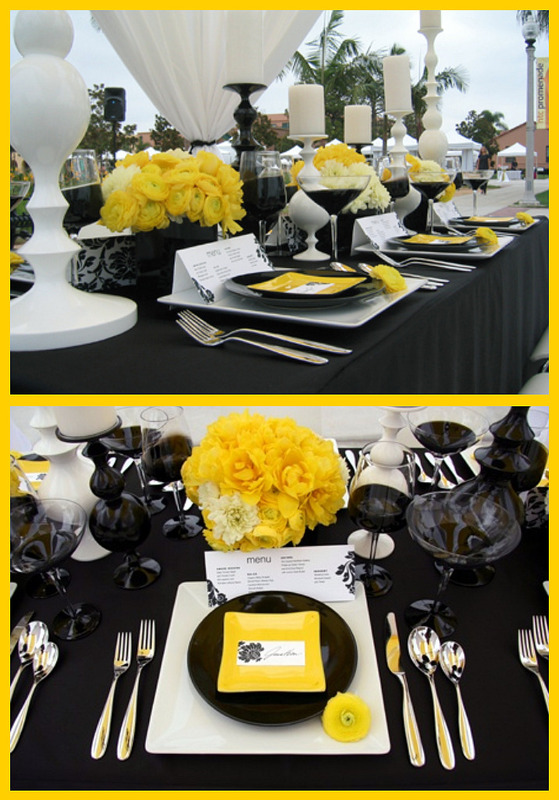 Reminds of the yellow and black table by Amy Atlas! How elegant! I love the drama of the curtains and the chandlers with the dramatic black and yellow contrast! Fab! I love this! I did a black, white, yellow inspiration board too based off a Kate Spade skirt.. This color combo IS perfection! Love how modern it is. I love this party color theme! So modern chic!! OMG! I love this! So sophisticated! I think instead of PINK, I will say Hello YELLOW!! 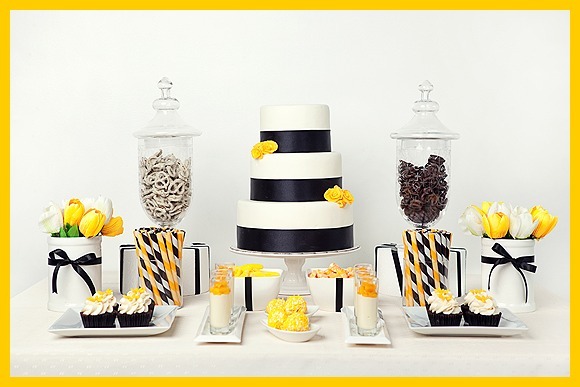 I love your blog and was suprised to see the post featuring the dessert table by Royal Events by Melissa! Thank you, I appreciate it!